Courtyard Park features two tennis courts, one basketball court, and a small playground. It is the home of Oglesby Recreation’s annual tennis camp, which takes place in June and kicks off the summer recreation programs for Oglesby children. The Little League and Junior/Senior League fields in Oglesby are some of the area’s best-kept diamonds. 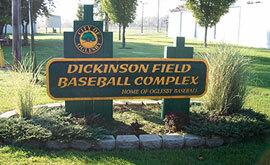 The fields host both Oglesby Baseball and Illinois Valley Community College’s teams as well as many local and state tournaments and the Central States Baseball tourney each August. A life-size wooden carving of “Sunny” Jim Bottomley, former first basemen for the St. Louis Cardinals and Oglesby native, is displayed near the Little League field. 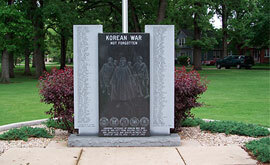 Lehigh Cement Company donated land for this park to honor WWII veterans. 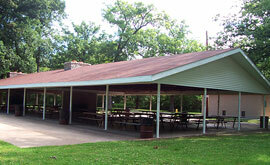 The park’s expansive woody area features a play area, restrooms, two shelters and a large stage. The shelter on the north end is rented out from May – September on a first-come, first-served basis. Reservations are taken for the shelters beginning January 1 each year by calling City Hall, 9815.883.3389. Each half of the main shelter rents for $50 a day, and the back shelter rents for $50. Persons wishing to provide alcohol to their guests (family reunions, weddings, etc.) must provide proof of insurance with the city named as a co-insured with their application at least two weeks in advance of the outing. A permit is not required if guests provide their own beer and wine. Hundred-year oaks provide a beautiful backdrop to memorials to WWI, WWII, Korean Conflict, and Vietnam War and the display of a military helicopter. This park hosts the city’s youth softball leagues and features a large playground. 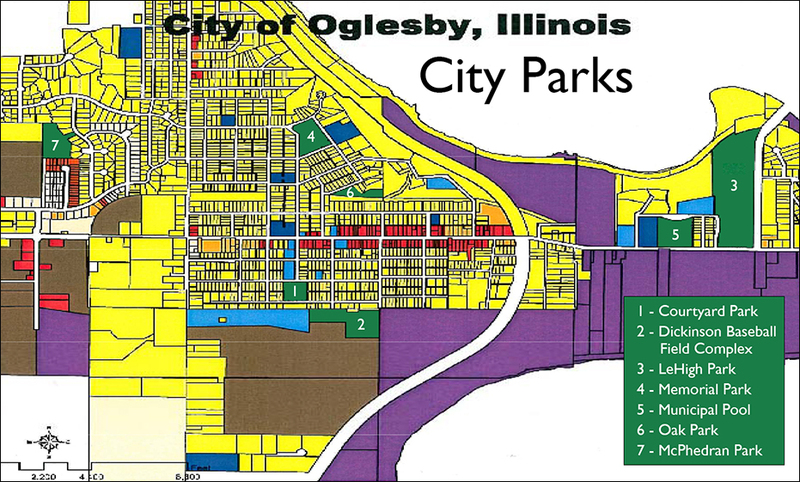 Oglesby’s newest park is located on the west side of town. 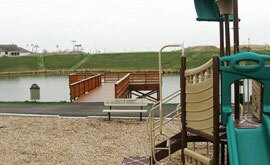 It features a fishing pond with a beautiful pier right off of the walking track. The track is 1/3 mile long with 6 work out stations. There is a playground with baby swings, regular swings, a pirate ship, and bongo drums. 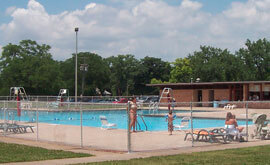 McPhedran Park is unique because it is the only park in town that is pet friendly. 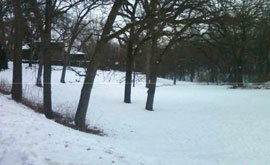 Waste stations are located on the walking path; owners are required to pick up after their pets. Dogs must be on a leash at all times. The Park and Recreation Dept. has a limited number of picnic tables for rent at $10 each. The tables must be reserved and payment made a week in advance. Picnic Table Reservation Link.